Tell us about your role at Shopify and the team/technology you handle. – focused on telling the amazing stories of entrepreneurs and how they build their businesses. I lead Shopify Studios, building partnerships with internationally-known creators and production companies to develop original content. I also oversee in-house production, licensing, distribution and business affairs. Current Shopify Studios partners include Anonymous Content, Wheelhouse Entertainment’s Spoke Studios and Saville Productions. Our Shopify Studios team includes creators, producers and development veterans, whose combined expertise covers film, television, digital, brand and talent management. What is Shopify Studios for marketing and sales teams? How do you differentiate it from other digital studios and advertising platforms? Shopify Studios creates original content that showcases real stories of entrepreneurship in order to make it accessible and relevant to everyone, everywhere. We want to create an entirely new genre around entrepreneurial pursuits and stories. Like many of our other efforts to create more voices, we want to highlight the entrepreneur first and foremost. How do your customers benefit from the platform? We’re hoping our customers, along with other entrepreneurs and would-be entrepreneurs, will enjoy what Shopify Studios produces, and take inspiration from the content, too. Ultimately, we’re paving the path for future business owners and innovators, and making the idea of starting a business more within reach for everyone. How do you identify the challenges and opportunities in the current native and programmatic advertising market? To be clear, Shopify Studios is not an advertising or marketing endeavor: It’s a short- and long-form creative content production house. What are your predictions for emerging technologies such as AI, Machine Learning and blockchain for content publishers and advertisers? These emerging technologies are exciting to watch as they evolve, and they will play an important role in content monetization. However, that is not our objective at this stage and we would explore this further down the line. Shopify’s mission is to be a catalyst for entrepreneurship and to inspire the next breed of business owners. What trends and technologies are you keenly following? Shopify Studios is about creating and sharing content that sparks interest in future entrepreneurs, and our focus with the features and content we create is not so much on technology, but on the human stories behind entrepreneurship and building businesses. Thank You, Jason, for answering all our questions. We hope to see you again, soon. Launched in 2019, Shopify Studios is the full-service media production and development division of leading multi-channel commerce platform, Shopify. Shopify Studios will leverage strategic partnerships with internationally known creators and production partners to develop, produce, and finance an array of projects spotlighting entrepreneurship — from long-form series to feature documentaries and more — for streaming platforms and traditional networks. 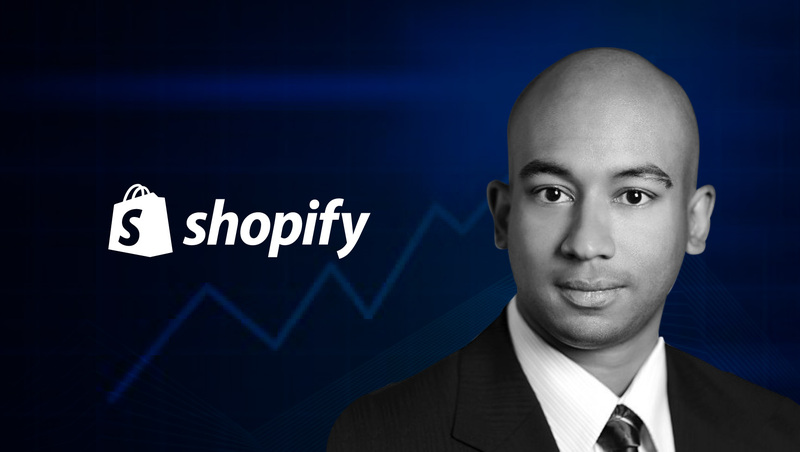 Jason Badal is head of Shopify Studios, the full-service TV and film production and development division of leading multi-channel commerce platform, Shopify. In his role, Jason leads Shopify Studios, forging and shepherding production pacts with internationally known creators and production companies to develop original content, while also overseeing in-house production, licensing, distribution and business affairs. When Is an Emoji More Than Just an Icon?